Reading some recent coverage of gender-based analysis sparked a couple of thoughts for me. The first was, obviously, that the writer didn’t know what he was talking about (in my cishet white male opinion). The second was that I finally needed to write about what I’m calling “op-ed as apology”. First, a quick explanation of what gender-based analysis+, or GBA+, is all about. It’s basically a policy that says government (or any organization) will try to look at decisions or programs from a variety of perspectives, and should be reaching out to representatives from multiple communities and life experiences. This can mean we consider people’s sexual orientation, ethnicity, geography, faith, gender identity and expression, economic status and ability/disability when making decisions. This would be instead of our current standard of what works for straight, white, able-bodied men. 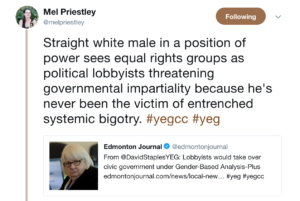 Alright, now here’s that terrible article from the Edmonton Journal’s urban affairs columnist, David Staples, comparing this idea of inclusion in city decisions to lobbying and partisan political groups. 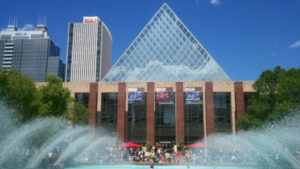 I recently talked about how influential Edmonton’s main news publishers still are, and how bad ideas can find traction at City Hall (and more widely) because of that. Thankfully, that doesn’t seem to be happening here, as a pair of councillors – our only two women on council – fired back in the pages of the Journal about how important it is to consider perspectives of more Edmontonians on municipal policy and decisions. As referenced in that article, we only have two women, one person of colour and one Indigenous person on our city council (and nobody identifying as LGBTQ2S+ or with a disability). And this is actually quite the improvement from the previous term. So, yeah, we’re going to struggle to incorporate multiple experiences into City decisions when our political leadership is a bunch of middle-aged white guys. GBA+ can help us start to confront our many privileges. And this brings me to my second thought. Much like I think newsrooms duplicating each other’s stories is an outdated journalistic practice, the op-ed needs to go. The reason I don’t think this is going away, however, is that it acts as a way for a media outlet to apologize for something it got factually incorrect, is way on the wrong side of public opinion about, or at least some of the folks working there may be embarrassed by. It’s easier to run a counter opinion, or a better argument (or the actual truth), than doing the hard work of raising the bar on your journalism. This industry isn’t immune from its roots as the domain of white men, and it shows when we need to run responses simply to balance this systemic hangover. The irony here is that if the Journal applied some GBA+ thinking to its editorial policy it might have scrapped this column in the first place, if not sent it back for some serious re-writes (perhaps including interviews with our two female councillors!). Instead, the practice is to run whatever you’ve got, even if it pushes harmful rhetoric, and maybe try to balance it out later, the damage already done. Op-eds as response/apology need to go. You can replace the space in your publication or broadcast with better journalism from more perspectives on a regular basis. In other local media news, iNews880 has been re-branded as “Global News Radio 880 Edmonton“. Quite the mouthful! Corus has been re-branding its radio news stations across the country with the Global name, and I was wondering when they’d get around to doing it in Edmonton. 630 CHED remains 630 CHED (for now???). Since the Corus radio and TV newsrooms have been sharing resources for months (ie: they all have the same stories), the big change here is that you’ll be able to hear the Global TV broadcasts on the radio. It’s the media disruption you’ve been waiting for, Millennials, TV is finally on the radio! Edmonton might ban raves. Just temporarily though. (Banning events temporarily is our thing now!) Although it’s not clear what the City means by “raves” since the current description might mean any event that is centrered around electronic music could be banned. The reasoning? A few recent events that had people overdose on drugs and a number of sexual assaults. Meanwhile, other concerts also have people ejected, arrested and taken to hospital, though drug use might not be as prevalent or obvious. The ban seems to have caught artists and entrepreneurs in the electronic space by surprise, so Wednesday’s meeting of the Community and Public Services Committee could be somewhat contentious. As we get closer to legalization of marijuana the stories keep coming fast and furious as municipalities prepare rules for this new retail industry. In the past week alone we’ve got the latest on Spruce Grove figuring out its marijuana bylaw, and Stony Plain, and St. Albert, and Leduc. Edmonton is also looking at where people can publicly smoke and Edmonton Public schools will be updating their policies related to smoking and vaping. It sounds like preparing for a major future flood will mean dikes in our flood plain neighbourhoods or a new dam west of the city. While there may still be pockets of resistance, Edmonton appears to be embracing skinny homes and the new people they bring to mature neighbourhoods. The homes remain quite expensive though, so it’s not going to do much to increase affordable options. Spruce Grove is examining a new arena project as part of its transition from coal as an economic driver. And there are a couple of good stories from Vue Weekly about the City’s sometimes confusing processes around “maker” businesses and urban agriculture. For makers, it’s about knowing a long list of rules, paying for events and other bureaucratic hurdles. There are similar red tape issues for people trying to grow some local food. The latter is frustrating to see as the City pushes for more food security and local agricultural programming. Edmonton Public Schools may soon all have a new dress code, one that doesn’t discriminate so heavily against female students. 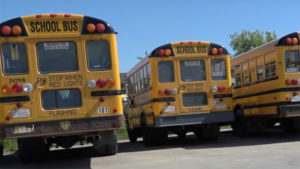 The school board will also be raising fees for riding the bus, which sounds strange when the Alberta government has been talking about reducing fees that families pay, but it’s obviously more complicated than the provincial proclamations make it seem. Edmonton Catholic’s budget is going up a little bit, as that school board expects a few more students in the fall. The Catholic school board superintendent will be facing one of the largest salary cuts of her peers as the provincial governments caps compensation, similar to what’s happened with executive salaries at other Alberta boards and commissions. As we head into the summer break, teachers are wondering if there could be more of them soon, please, to help reduce class sizes and keep up with the complexity of studies. One of the other pressures related to students with a variety of needs is adding more educational assistants. We were talking all about the University of Alberta a couple weeks back and now we’ve got a look at where the school’s budget landed. It won’t be making changes, even after plenty of pushback against departmental cuts and fee increases. The school is also under scrutiny for some coal research and questions around how involved a sponsoring energy and coal company was in the work and reviews. How responsive the U of A is to the needs of student parents is getting a refresh. If you’re at the parade, you’ll notice that Edmonton Police and the RCMP won’t be marching in uniform. Pride and police hasn’t been as public an issue here as it has been in other cities, but it’s still important to have conversations like this because minority and vulnerable communities don’t always have a good history or current relationships with police. The City should soon have an LGBTQ advisory committee, which kind of ties into GBA+ thinking but would also exist outside of that work to help bring more issues to light at City Hall. Edmonton won’t be the only municipality in the Metro Region with rainbow crosswalks. Sherwood Park is adding some of their own. 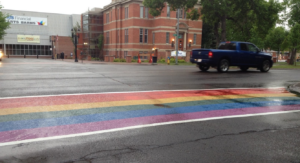 And St. Albert is considering adding a rainbow crosswalk. LGBTQ church-goers sometimes have to find new places to practice their faith, and some are coming together in Edmonton to practice. One church in Sherwood Park is more openly welcome to these communities. Wiccans will be increasing their visibility this Pride Month too. And you can learn a little of Edmonton’s LGBTQ history with a new app.